For the best prices, please send email and artwork to shelly.barton@creativecardgroup.com. 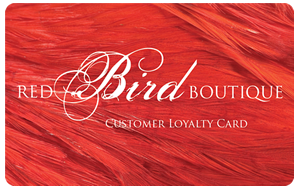 The Gift Card is an excellent way to bring in more customers, return credits, and promote future sales growth. Plastic Fundraising Cards are the best way to raise money for your organization. Plastic Fundraiser Cards don’t spoil, they don’t take up all the room in your garage, and they are often highly sought after by those that purchase them. Whether you need annual personalized Membership Cards or on demand personalized card service, Creative Card Group can create your cards, however you want them. 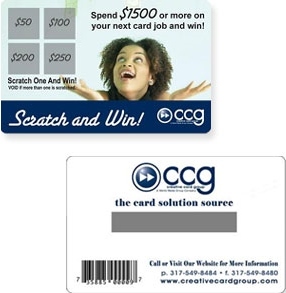 Creative Card Group has some of the plastic card printing industry’s leading high-quality card printing equipment that can produce your organization’s unique and exclusive Club Card or key tag. ID Cards are our specialty. Creative Card Group provides quality identification cards that are durable, clear to read, and affordable. CCG can provide everything your reward programs need to be functional and successful. Our products and services will increase the performance of your marketing initiatives by providing valuable insight on individual customer purchasing habits and then correlate that data with customer information such as email or home address. Creative Card Group provides Loyalty Cards and key tags to businesses that understand customers can shop anywhere, and to maintain their customer’s loyalty they now must go above and beyond standard customer service efforts. Let the Creative Card Group make your organization’s facility more secure with our High quality Key Cards. Key Cards can reduce the risk of your facility’s systems becoming breached. Plastic Discount Cards don’t spoil, they don’t take up all the room in your garage, and they are often highly sought after by those that purchase them. 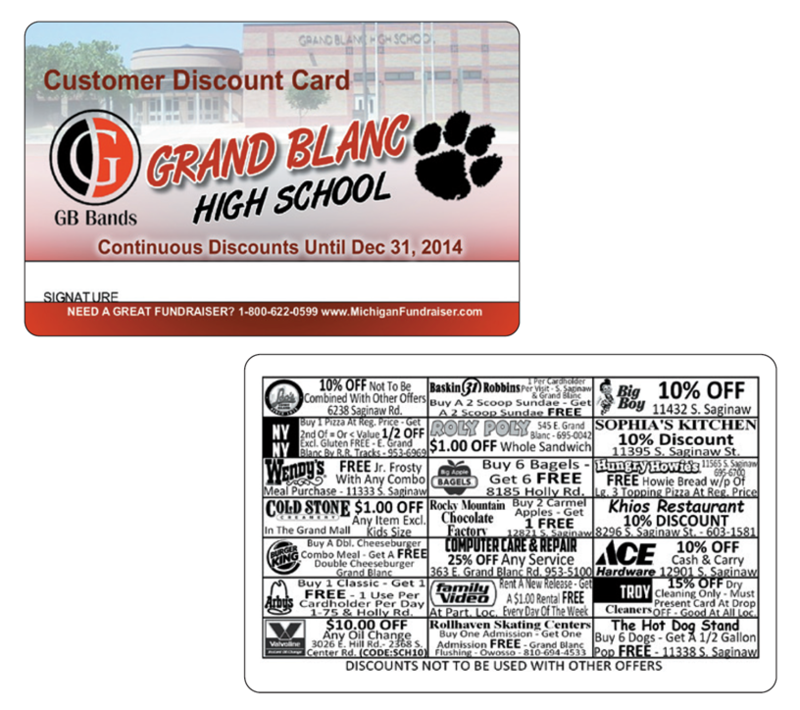 A custom printed Discount Card can include all the participants that you can recruit into your program. A Plastic Business Card can make the great first impression you’re looking for when handing your business cards to potential clients. Plastic Download Cards are becoming more popular than ever among expanding digital service providers. A custom printed download card can match your downloadable products from an online site. Creative Card Group offers high quality Plastic Phone Cards as well as paper Phone Cards. Our Phone Cards include the features you need for making your Phone Card program a success. CCG also offers competitive pricing for larger production runs of Plastic Phone Cards. 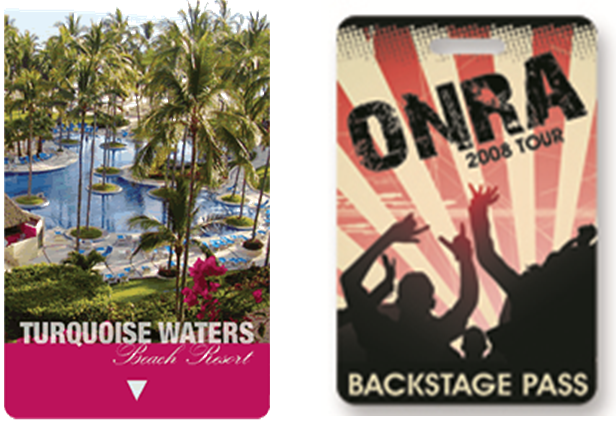 Our high quality printing allow hotels to order event specific hotel key cards with marketing advertisements to further promote conventions, restaurants and services. Another more classical use for the hotel key card is room or outdoor entry access. Prepaid Cards can be used in a wide variety of industries, while satisfying a wide variety of needs. Our prepaid cards are great for online game cards, customer loyalty cards, Wi-Fi cards, music download cards, gift cards, phone cards, and much more! The Scratch Off Card can complement any of our products. You determine the area you wish to cover whether that be a PIN number you would find on a phone card or multiple locations when having a sweepstakes. Casino Cards, also referred to as gaming cards and casino membership cards are the number one marketing tool used in the gambling industry today. Plastic library cards offer an easy and more cost effective solution to the “checking out” process of books and other materials than the punch card system. Plastic library cards also provide an increased level of security to college campus libraries by acting as an access card to the library. Today’s Medical Cards are a basic radio-frequency identification (RFID) smart card. These cards have the ability to be located by emergency response unit’s special equipment that helps them identify the card holders medical information. The medical information is monitored through a special network allowing for fast and proper care for anyone that is unable to communicate with rescuers. ©2019 Creative Card Group. All Rights Reserved.